Charles wishes he was there! Charles literally worships the ground the Obamas walk on. 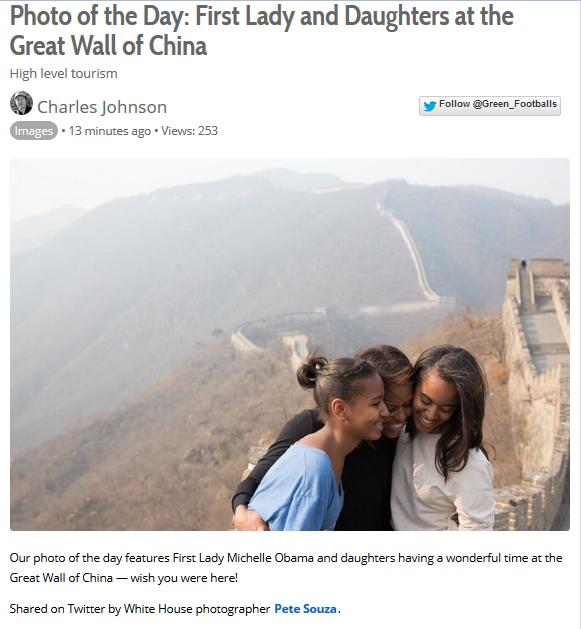 He posted of a picture showing Michelle Obama at the Great Wall of China. Charles Johnson wishes he was there with Michelle Obama and kissing the ground she walks on.